BEAVERTON — A funeral Mass will be held Monday afternoon for Sister Geraldine Bernards, former Maryville administrator. 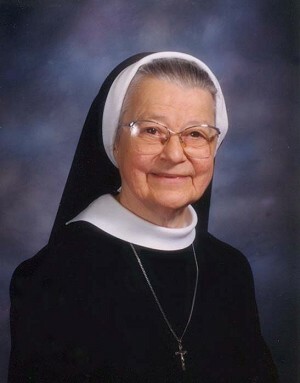 Sister Geraldine died May 14 at the Sisters of St. Mary of Oregon Motherhouse. The funeral begins at 4 p.m. in the chapel of the Sisters of St. Mary of Oregon Motherhouse, 4440 SW 148th Avenue, Beaverton. Burial is set for 9 a.m. Tuesday, May 19, in the Sisters' Cemetery. Sister M. Geraldine Bernards was born on Dec. 18, 1929, in Forest Grove. She received her early education at Visitation School in Verboort, Sacred Heart Academy in Tillamook and St. Mary of the Valley in Beaverton. She graduated from St. Mary of the Valley High School (now known as Valley Catholic) in 1947. She was received as a novice by the Sisters of St. Mary of Oregon in 1949 and became known as Sister M. Edward Ellen until she returned to her baptismal name after the Second Vatican Council. Before pursuing a nursing ministry, Sister Geraldine served at the SSMO Motherhouse in the kitchen, milk cellar, guest department, bakery and sewing room. In 1961, she earned a license as a practical nurse from St. Peter School of Practical Nursing in Olympia, Wash. When Maryville opened in 1963, she was ready to join the staff. In 1970, she completed the course work to become a registered nurse. Described as a “quiet leader whose heart was wrapped around Maryville,” Sister Geraldine Bernards served at the site for 39 years. She spent 23 years as director of nursing and 10 years as administrator. During those years, Maryville grew dramatically. It now offers long-term skilled care for residents, short-term physical rehabilitation, memory care and an Alzheimer’s unit. After retiring from Maryville in 2004, Sister Geraldine enjoyed a sabbatical year. However, her heart remained at Maryville and she continued to volunteer as a Eucharistic minister until she suffered a stroke in 2008.